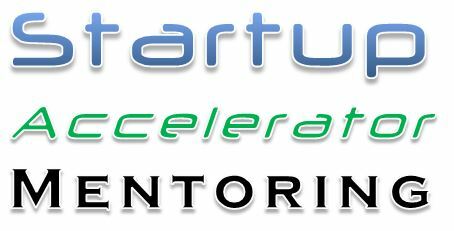 1. Who is suited to being a startup acceleration mentor? What characteristics are essential to a startup acceleration mentor? What specific personality profile, capabilities, background or experience, are relevant to a specific mentoring (and perhaps also in conjunction with any relevant non-mentoring, e.g., investment) role? Should startup operation and/or mentoring experience itself be a mandatory prerequisite for startup accelerator mentoring? 3. What subjects require mentoring? Business modelling, pitching, term sheets, investment negotiation, recruitment, promotion, market research, sales, exit options, etc., etc. Which subjects that startups need to learn are more suited to non-mentoring approaches, i.e., self-study, or ‘accelerator-run classroom sessions’, assuming that these aren’t also considered to constitute mentoring? 4. What proportion of the startup team’s time? How much time on an accelerator program should be devoted to mentoring/being mentored during the course of the program, rather than ‘letting the team get on with the job’ (assuming that mentoring is potentially an interruption and/or a scarce commodity)? Are ‘post-accelerator program mentoring arrangements’ something an accelerator should concern itself with (especially in equity-based accelerator funding schemes)? One startup team member at a time, whole team, multi-startup, whole accelerator startup cohort, on the job, tutorial sessions, multi-mentor teams, role playing, face to face, teleconferencing, sitting in on customer visits, simulations, startup team shadowing exercises? 6. How to evaluate the mentoring impact? Continuous assessment, co-participant peer assessment, external audit, comparative startup valuation, non-same-cohort accelerator alumni assessment, comparative exit valuation, specific capability assessment, investor assessment, mentor/startup peer assessment, accelerator staff assessment, accreditation levels, industry-wide accreditation scheme? Mentors per startup, mentors per session, mentors per subject, mentors per accelerator cohort, mentors per startup team member, mentors per accelerator program? TechStars measure the prospects for success of a startup by the number of mentors the startup ‘attracts’ (less than 5 being a thumbs down). How does ‘startups attracting mentors’ fit into the startup accelerator model? 8. Can startup acceleration mentoring be taught? Can you (and should you) ‘churn out startup mentors’ as part of a startup mentor development program, or are startup mentors exclusively an emergent property of ‘doing startups’: are really good startup mentors exclusively an emergent property of ‘doing startup mentoring’? Is there in fact an over-emphasis on mentoring? Are the very best startups/founders those that don’t really need mentoring (or even ‘acceleration’)? Are there sectors, markets or technologies where startup mentoring is just not applicable? In which circumstances does it make sense, at least from an investor’s perspective, to ‘put in capable resources’ instead of mentoring existing team members? 10. When are there risks associated with mentoring? What about intellectual property exposure, personality clashes, conflicts of interest, poaching, ‘mentor/mentoring dependency’, spiralling mentoring costs, non-availability of suitable mentors? 11. What are the non-commercial incentives for mentors? 12. What are the commercial incentives for mentors? 13. Experience in a specific acceleration methodology required? 14. What about mentoring budgets for accelerators? What proportion of the overall accelerator costs should be allocated for mentoring? Should there be ‘mentors on the accelerator staff’? Should there be a ‘peer mentoring only’ policy? If so, what do you do to make sure peer mentoring among startups actually happens/works? Do you exclusively use accelerator staff, supplemented by ‘alumni from earlier accelerator cohorts’ to keep costs down? Is mentoring monitored, supervised, or formally reported on in order to control costs, or at least to project future mentoring requirements? Do non-staff mentors have other roles which affect accelerator resourcing requirements and costs, like participation in ‘applicant sifting’ or ‘post accelerator program support’, or accelerator event participation?